São Paulo is the most populous city in the Americas, and with almost 12m inhabitants & over 20m in the Metropolitan area, it is also the largest city in the Southern Hemisphere. It already has the 9th biggest GDP by city in the world, forecast to break into the top 5 by 2025. Far from the collapsing megalopolis sometimes portrayed abroad, it is a city in progress, at a crucial moment in its history – thriving culturally & economically whilst indeed simultaneously facing a new set of infrastructural & social problems still unfamiliar to most of its cousins in Europe & North America. Lack of effective planning & co-ordination over the past half century left structural issues for future authorities to solve. 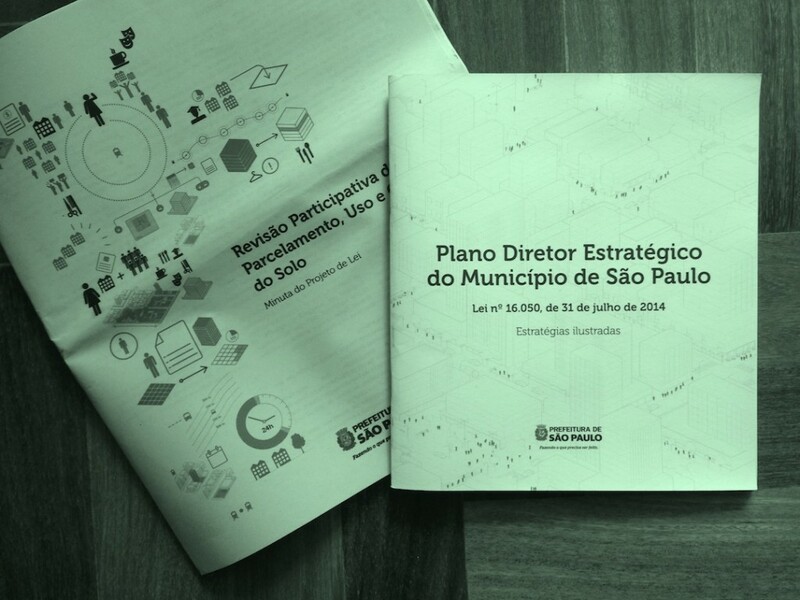 In 2014, the Prefeitura of São Paulo, its most progressive in decades, led by Mayor Fernando Haddad, launched the latest ‘Plano Diretor Estratégico do Município de São Paulo’, a Masterplan for the city, a new revision of which is published every 12 years. Heading this project is Fernando de Mello Franco, Secretary of Urban Development for the Municipality of São Paulo. Public space is a materiality, the Public domain is something completely abstract and intangible, so when we watch, when we see the population claiming the use of the streets back, this is fantastic. São Paulo’s sheer size has to make this task equivalent to planning a small country, how did you come to be working on this massive project? 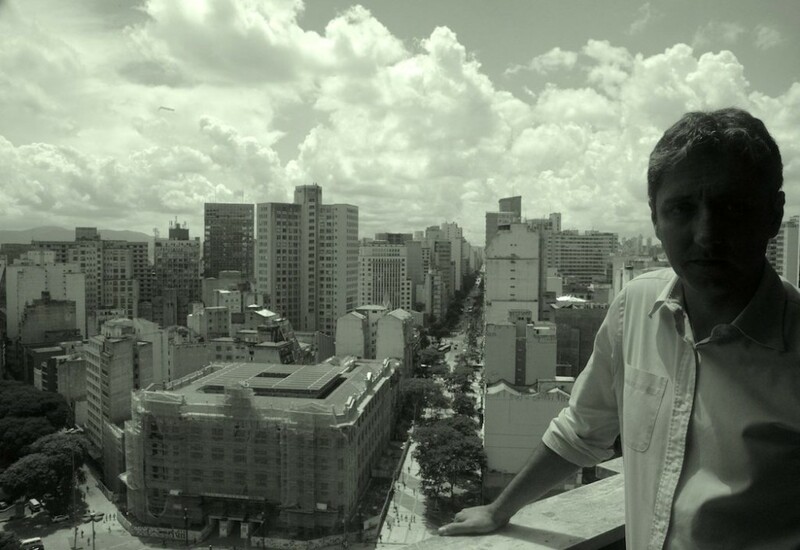 Fernando de Mello Franco – My background is architecture & urbanism. 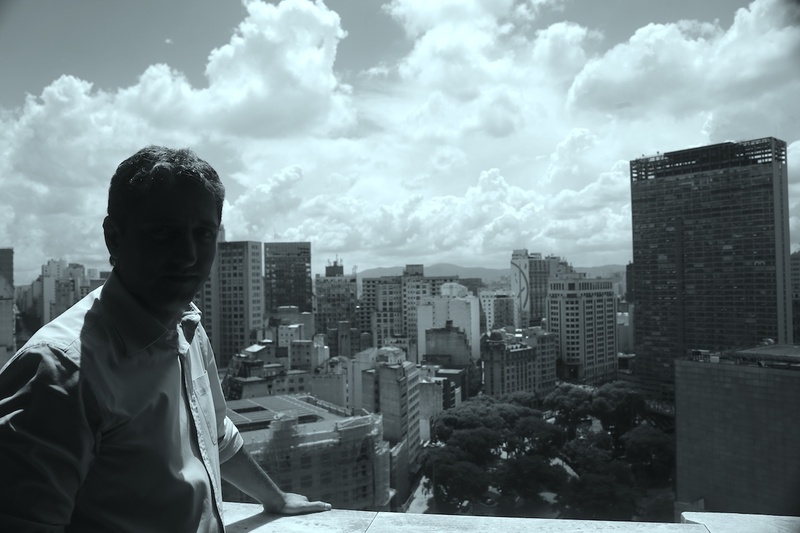 I think I came to this position at a specific moment in this city’s life, it’s history, because São Paulo has been made, during 100 years if not more, through a very deep and fast development process. São Paulo is the biggest industrial city of Latin America, but really so many things are changing, we are not an industrial metropolis anymore, the economic context has been changed a lot, and in the last few years we could see the population growth going to zero or close to zero. We have seen this rise of the lower middle class and so on, we think that this is when one cycle of the city is going to be finished and the city is going somewhere else, we don’t know precisely where or how, so this is the moment when decisions will impact for decades. This is the specific moment where the city had to by law make the Plano Diretor revision, and we were responsible for driving this process. And this is the point we are at at the moment. 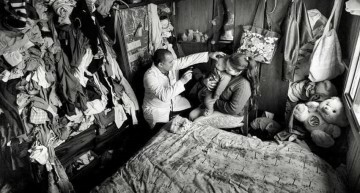 But basically, what we have to change, and what we are worried about, is not renewing or revising the law itself, but that the law at this moment just reflects a social pact, and in this social pact what we understand is that the population, not the totality of the population, but part of the population, the majority of the population, they want to live in a different way. They are totally bored with the impossibility of living in the same way as we lived from the last century until now. So we are not talking about laws, we are talking about a shift of culture, and this is much more difficult to do than law, law you can write it, approve it, but culture is something else. So what you just mentioned, concerning the article about the way the population is using public space is really a symptom of this moment, where we try to convince the population, and the population who are already convinced are trying to push us to make moves in order to first reclaim the public domain, because one thing is the public space, the second thing is the public domain. Public space is a materiality, the Public domain is something completely abstract and intangible, so when we watch, when we see the population claiming the use of the streets back, this is fantastic, although it is also a perversion because some of those movements are middle to upper class who also want to privatise somehow. So you’re concerned about the line between reclaiming the public domain & gentrification? Yesterday someone told me a new word, that I didn’t know. We know about Gentrification, but now we have Gourmetizacão, like food trucks – they’re very expensive! There’s this meme, very Brazilian, “Raio Gourmetizador” – a ray that turns say, Tapioca into something you buy from a Food Truck for R$20. Of course we have to be aware of those things but we also identify & include in the Masterplan new agents, which are the Coletivos. The Coletivos are all over the city, and they have a huge amount of diversity in their expressions, and somehow I think the Secretivistas, the Pixadores, Street Artists, Street Musicians and so on, I think they are claiming for the right of their city, the possibility of having the city, the space of the city, as a support for their expressions. And this is connected I guess, with the social rise of the middle class, because these people, differently from the past, they are not people from the countryside, new entrants, they were already born in the city, they already have a culture, and I find it exciting, what this emergence, this rise will bring in terms of other expressions of urban culture. And I think the moment we are living now is how to somehow keep conditions that those expressions take place in the city. An exciting moment. I read your article ‘Endless City’ and about this new generation of Paulistanos, born into this situation and that this is their culture. My wife’s family is a familiar story, were from the interior and moved in during the 1980s, but she is fiercely Paulistana, she sees all this, the Pixação and so on, as something they’ve grown up around and are proud of. I find fascinating what you say about this generation who were actually born into it, these conditions, and what they go on to create. So, your aim is then, on this side of things at least, is to create beneficial conditions so that this culture can thrive and grow? But you know, in the political context, what the media wants, what the political debate wants is new buildings, new roads, new bridges, and so on. This was a point I wanted to make, how difficult does the Prefeitura find it to communicate positive projects in such a hostile media climate? Principal example is the cycle lanes; where I live, in Pinheiros, people are far more receptive there to these kind of ideas, but just 1 km away, over in Jardins, there is default opposition. Yet even with this hostility, over the past year – at least before the election – I felt there was progress in winning people over with such initiatives, who would normally be positionally opposed because of party allegiance, but I saw friends, one by one, saying things like “I have to admit, my mother will not like it, but this Prefeitura is doing a good job.” I saw this at least begin to happen. It’s so difficult, because the debate in Brasil right now, either you are on the right or left, in social classes, and so on, but I think that what you just mentioned, the son saying that “my mother has to excuse me but…” I also see that this discussion is not only about a social dispute, but an age dispute, and culture, so we can see young people that belong to high middle class, and low middle class thinking closely, they both want bike lanes, they want to use public space….so the battle is so tough, so I think we need to try to rebuild a social pact, just positioning within the dispute, which is a strategy you know, and will not work anymore. But of course, the media has young journalists who come here to talk to us, who smile while they talk, and when they go back (laughs) they have to do what the boss, who is much older, wants them to write. We don’t know how to cross this difficulty. When we talk about culture, it’s a preliminary strategy, to give the basis that people can sit together in the same train. Otherwise it will not work. The way that it is changing culturally, there’s also something, in terms of my social group, what i’m accustomed to – this move towards reclaiming the public domain is very instinctive. The other side of it is what you described in ‘Endless City’, which I see here, the idea of these Gated Citadels, where you have say, retail, entertainment, apartment block, and everything is self contained. This kind of development has obviously been happening in and around São Paulo for a long time, and actually this whole thing about walls & fences in general, the longer I live here, the more i understand this this isn’t a recent development. 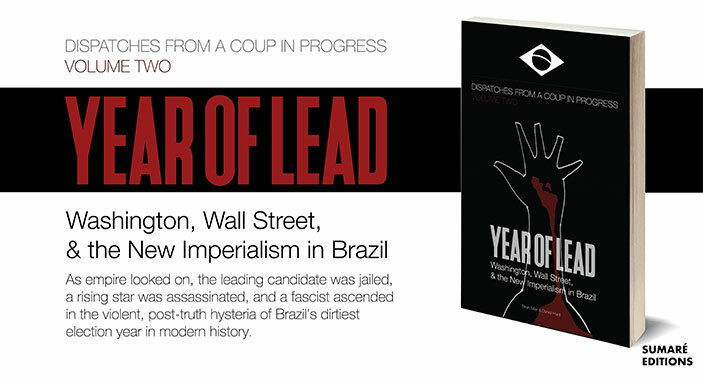 Yes it is very historical in Brasil. But do you see a way of these two developmental threads, what culturally these people want – some they want this model, these private Gated Citadels and theres the other side who want to actively use public space of the city. Do you see these two opposite visions as able to co-exist? Well São Paulo is so big, so complex, that we can see so many different things coexisting at the same time, but concretely speaking, what we want is to decrease inequality, we want to offer, in social terms, and in spatial terms, more equality, which means that we need to give opportunities all over the place, and maybe the only way we can find to organise production, organise mobility, organise the environmental challenges and so on, is by redefining the paradigm of transportation in town. In the beginning, when the British were here building the infrastructure that gave support to Industrialisation, the railway was the engine of urbanisation – it was fantastic, it was a polycentric metropolis, connected to around the state, you know the story. 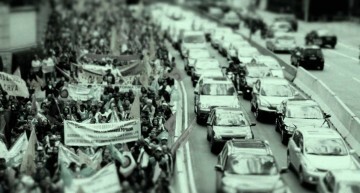 But we have to change that paradigm, and changing that means that public transportation has to be, not the totality of movements, but majority of the movements of the city. What we want is to decrease inequality, we want to offer, in social terms, and in spatial terms, more equality. But how can I put a rich guy with a poor guy in the subway? Because we don’t have this culture of co-existence. That’s why when we talk about culture, it’s a preliminary strategy, to give the basis that people can sit together in the same train. Otherwise it will not work of course. Here in the subway, we don’t have what Europe had in the past, 1st & 2nd class, we only have one class, because there was never any need for more than one class. How can we put all classes together? There’s no other way, we have 4.5 million cars, they occupy a huge amount of space, it is impossible to have two bodies in the same space, it is a physical problem but doing what we’re doing concerning this negotiation of the public domain is one strategy for solving practical things such as mobility in town. This is a bit abstract from this, but when Europeans first come here, when they want to go outside the city the first thing they say is Where do I get the train? I want to go to say, Belo Horizonte, where do I catch the train? Was there an actual key moment where the emphasis moved onto the automobile, and away from the Railway? It was after the war, the United Kingdom lost the Hegemonity, and the US came in with the car. This is my thesis – I think that São Paulo is very different from Rio de Janeiro, Rio de Janeiro is a very Portuguese city, in its DNA, but São Paulo is British, its infrastructure, the railway, the canalisation of the rivers, the water production, the energy production, this is the heritage, but now what we have on our hands is to think about the future. So it remains based on the British infrastructure designed to support an Industrial metropolis. I saw mentioned a change of planning regulations where the new tall buildings would have to interact with the street. This is another thing that foreigners notice, that there can be nice areas where you can still walk for 3 blocks without seeing a shop, bar, restaurant, cultural space or anything. This is something that I thought was a hindrance to the public domain, as you say. We did the Masterplan (Plano Diretor), now we’re doing the Zoning Law, the Zoning Law will say how the private can build a building, but the Masterplan can’t do so. And it is very difficult when you live in a city as big as Sao Paulo, it’s impossible to describe a law that says precisely what all the buildings will be about. So what is the strategy in the Masterplan? We’re not talking about what the building will be about, but about how the building, how each object will touch, will connect with the common ground. So we’re concerned about the ground floor, and the ground floor we’re bringing specific rules and many incentives, all the incentives they give bonus for the ones who open the ground floor, for the ones who put shops and uses that can activate the city. So how about the progress of large projects such as Arco do Futuro and Arco Tietê? That’s a good and difficult question. I need 10 days to answer (laughs). First we did a PME and what happened to this is that basically none of the proposals could answer what we asked but we could look to rephrase the question. However, (Operation) Lava-Jato makes it impossible to proceed with the construction, all the proponents are somehow connected with it. The only ones who can do such a big and complex project, like this one, are those connected contractors, but we don’t give up. Actually we don’t have a tradition in urbanism in Brasil, and we are totally focussed on identifying what are the critical points in terms of regulation, financing and so on, and we’re working hard to make it happen. The first step was to put Arco do Futuro and Arco Tietê in terms of the law and we did, the zoning law will give us one extra layer and we’re working on infrastructure plan, and also defining financial tools in order to make this possible in the future. We won’t have it in this term, its impossible in this context, but at least we hope we can leave the tools on the table for the next one. So from huge projects such as this, onto the cheaper, smaller ones, the Urban Beaches, the Parklets, these new public spaces – these are projects that can have a very instant benefit to quality of life. Do you think it is possible that the smaller projects can actually have greater impact than bigger projects? 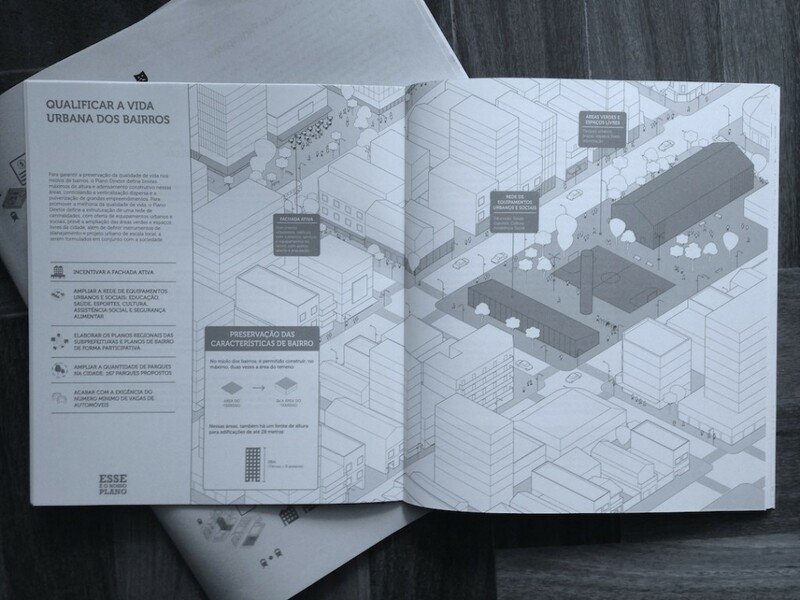 They have an impact, parklets for example, as you know in Vila Madalena and Pinheiros – now the public sector, the municipality, will pay for 32 parklets, 1 in each sub-prefeitura, to make it happen outside of the bourgeoisie – they have an impact, but they’re not what we can call structural. The structural things demand a huge amount of money, and so on. Since this term doesn’t have money, due to the political and economic context that you know about, this opened a window of possibility to convince the Mayor that even actions that don’t cost money can be important, and maybe we won’t have space for bike lanes, parklets etc if we had the budget for the big projects. 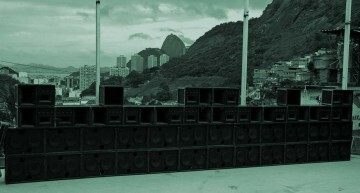 And this is a very big task, the question is how to multiply them to the size of São Paulo. There’s two other things in particular I wanted to ask. The first is about the situation in Parque Augusta, which has been very fluid. What’s your personal opinion, would you prefer it was 100% green park like the activists want or do you believe there is room in the developers plans for a positive outcome? Well, that space is a very valuable space in town, it cost a lot of money, and the law says that at least 60% of the area has to be a public park, so the Municipality already has 60%. The debate is about the other 40%. Would it be better to have 100%? of course, but how much does it cost, do we have money? And how should we use this money, how many square meters of parks all over the city could we make with this money? But I think that we could find a solution in-between – we had some alternatives where the developer would use only 20% for example and more important than having the public space is how to manage this, and maybe that’s an opportunity, to have a developer that can maintain this. Because we’re testing so many pilot projects here in downtown, and the question is how we can keep this active, keep this safe, and so on. The amount of money we needed to do São Francisco was nothing, but how do we keep it, and we’re thinking about how we can create an engine, a mechanism for this. (Since this interview, further progress has been made towards preserving Parque Augusta). We could easily solve the water problem with a new way of thinking about how we should design our infrastructure. The other thing I wanted to talk about is water, obviously. I guess São Paulo’s principal problem with water until recently was flooding. Now there’s a problem with access too. I wrote one piece on the water crisis, what I tried to explain is that there are actually projects, proposals, solutions, and so on, rather than this apocalyptic Mad Max scenario. I tried to explain that there is water, there has been a drought & it might return, but that the problem is in that the collection & management system has not responded to the needs of the city in time. Well first, it’s not true that São Paulo has abundant water, because it is based on the head of the Tietê basin so it is poor in water – when you relate it to the magnitude of the metropolitan area. So we have, and we will keep having problems, but I do agree that with the amount of water we have at the moment, we shouldn’t be facing a crisis. With this I agree, totally sure, and actually this is not connected only with this specific crisis in São Paulo, once more I think it is a question of paradigm, the paradigm of projects. We still think – for example Sewage – we have 20m inhabitants, you can imagine how many tonnes of waste we have, and the Government decided to make 4 big huge new Sewage treatment plants, and this is the paradigm of this modernist idea, big very heavy systems and so on, but what about a more diffused, dynamic, localised, decentralised idea – this is the question and we could easily solve the water problem with a new way of thinking about how we should design our infrastructure, this is the point. When talking to friends, I sensed that many who grew up here were unaware of the limitations to the system, they assumed rain & waste water was being collected, treated locally for example. I think now they at least appreciate the resource more, and with regards to changing culture as you say, changing this paradigm, and moving towards local solutions, diffused solutions, that maybe this shock could help that cultural change? I’m a little bit apocalyptic, but I think that maybe this moment will help make the population have a reaction, although it will not be Mad Max – we know that (laughs), but I see my Son, his generation is much more connected with those questions than my mother or myself and so on. So at this point this is strategic, to build a public awareness of this, because nobody wanted to discuss this in the past and we have to start discussing infrastructure also, a kind of design that has to be as participative as a Masterplan or any public space. 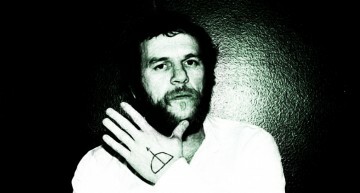 English Writer, Producer and Film maker based in São Paulo.